China's plans to return to the moon early 2020s. Filling one shuttle's cargo bay with helium-3 could bring the equivalent energy of 1bn barrels of oil back to earth. In 2009 NASA launched the first lunar mining competition called The Lunabotics Mining Competition (now simply called the Robotic Mining Competition) that aims to generate "innovative ideas and solutions, which could be applied to actual lunar excavation for NASA." Google is also sponsoring a moon-related prize, the Lunar X-prize, a $40 million competition to encourage privately funded teams to launch "land a robot safely on the moon, move 500 meters on, above, or below the moon’s surface and send back HDTV Mooncasts for everyone to enjoy!" Newt Gingrich, presidential aspirant in the 2012 Republican contest, wanted to see a permanent moon base established by the second term of his presidency that could be used for space tourism and mining ventures. Gingrich was widely mocked for his grand plan and former space executives criticized the policy, choosing to endorse Mitt Romney. The moon is rich in rare earths, titanium and could support mining with recent evidence of the existence of water, the big prize when excavating the moon is helium-3. Almost non-existent on earth, helium-3 is abundant and accessible on the moon and could be used in nuclear fusion, producing much more energy than fission reactions and with much less radioactive waste. 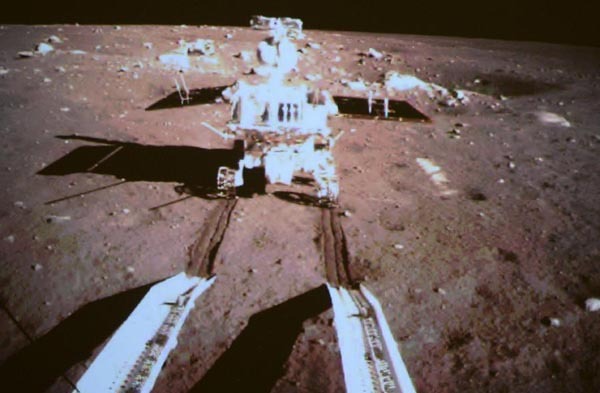 While the USA dabbles with the idea of lunar mining and both India and Russia have in the past floated ideas, China is the only power pushing ahead with an actual program.